During the first few weeks of August 2016, bonito have filled in around the usual haunts surrounding Nantucket and Martha’s Vineyard’s outer shoals. Anglers stopping on their way back from offshore have had no trouble picking a few up for the grill. Capt. Mike Hogan and Capt. Shaun Ruge went out in search of some morning fish southwest of the Nantucket islands on Wednesday August 10th and after some searching, the bonito bite did not disappoint. The troll and cast routine was productive (troll jigs and swimmers to locate, saturate the area of a caught fish or bait concentrations with blind casts for more then move on). There are a few schools of thought when fishing the shoals for bonito. Either a.) hunt them, or b.) post up and let them hunt you. Bonito are fast moving and often structure orientated. 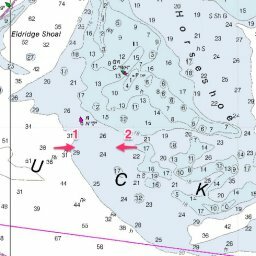 They will run parallel to sand bars, likely on the deeper water sides and typically not on top of the higher shallow spots. They follow more of a smash and run routine but can be found with sustained feeding activity out in open water flats balling up bait fish. 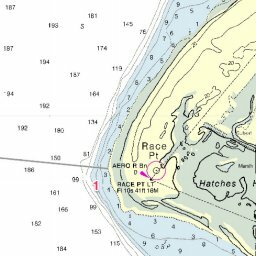 More often than not the drill is to identify an area holding bait and other predatory fish (bluefish and sea bass). When bonito run through the area, the action can be hectic but often short lived until the next school moves through. The Salty Cape-preferred method is to hunt them. Move around the shoals at slow speed looking for signs of fish. This includes everything from actually seeing them darting around, concentrations of bait fish and birds, or other active predators. Remember boats do not always equal fish (nothing attracts a crowd like a crowd) so you will likely do better searching on your own. It is not uncommon to see surface feeding sea bass and bluefish mixed in. 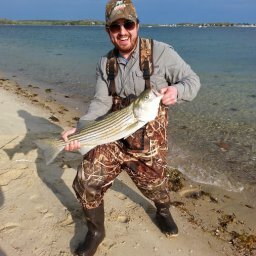 Like striped bass fishing a rip, just because you have a sand bar and moving water doesn’t mean the fish will come. There are always different parts of the shoal that will fish better on any given day as they hold more life. Day in and day out that may not always be the same place even on the same tides so let observation and birds be your guide. A good pair of binoculars or using your radar to locate flocks can go a long way here. A popular technique is to troll the area parallel to the shoals to locate concentrations of bait and fish, then blind cast the area to catch more. Lures in the water catch fish, so never stop casting. Sounds obvious, but how many times do you see boats with anglers on the bow just standing around? No one ever caught a bonito with a lure in the hand, keep casting! The troll and go keeps lures in the water and will increase your hookup ratio when bonito are not actively visibly on the surface for casting anglers are resting. It is not uncommon to catch ten bluefish for every one bonito. Weeds can be a problem on some tides so you may also need to move around to get out of the grass and other stirred up debris. Capt. Mike’s preferred trolling lures consist of (1) 2.5oz Sand Eel Jig and (1) 7/8oz Epoxy Jig, but any metals in similar profile and weights would do the trick. Vary your weights to fish various levels of the water column. Fish the epoxy jig a little closer than the sand eel jig to make for a quicker conversion from trolling to casting. 1) Faster weed checks due to not having bill-drag to reel against. Less weeds for that matter too. 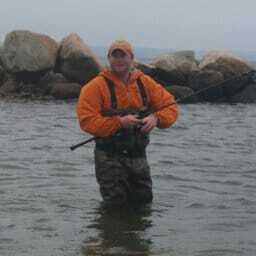 2) The ability to drop on stripers you may find on the fish finder. 3) A quicker conversion to switch to casting fish. 4) Easier de-hooking and less harm to fish. Smaller flashy lures that are easy to cast long distances are preferred. 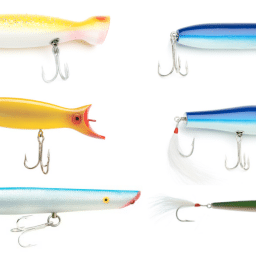 5/8 or 7/8 oz pink, green, bone, and Limited Edition Anchovy or Silver Side are favorites. The in-line single hook is always effective. When casting, don’t be afraid to throw rubber. 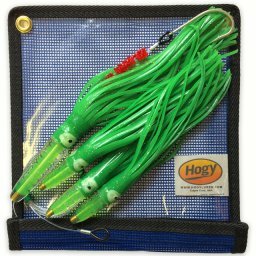 4″ or 6″ Hogy Skinny’s in bone or amber are favorites as well. A weighted 1/0 or 4/0 classic swim bait hook will help add some casting distance on days with a little breeze. Most days a 5-8ft 20lb leader is sufficient but there are clear calm days when scaling down to 15 or even 10 lb helps with finicky fish. Lighten up those drags as the fast runs and erratic back and forth zig zag fight of a Bonito is the exciting part! When it comes to eating bonito make sure to bleed out and ice down any fish you plan to keep for the grill. The flesh and taste is similar to tuna so you can prepare the same way. A little bit of olive oil, salt, pepper and they are ready for the grill. Great sushi fare, but we recommend to get them cold so the flesh stays firm when slicing them up. Bon appetite!